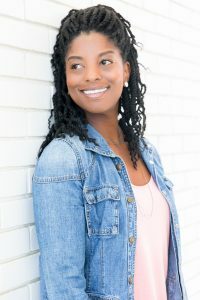 Jennifer Jones is the passionate owner and founder of JENuine Nutrition, a Holistic Nutrition consulting company that takes an unorthodox approach to helping her clients live a healthier lifestyle. She doesn’t believe in a one-size-fits-all solution for her clients finding balance and adopting healthy habits. Jennifer is a Certified Holistic Nutrition & Wellness Consultant with over a decade of experience in the Health & Fitness Industry and was inspired to study Holistic, Integrative Nutrition after decades of being a top-performing athlete, but still not being happy or satisfied with following the conventional ways of addressing her own personal health and fitness goals. Ultimately her intuition lead her to a more balanced, natural way of living and healing her body which is more sustainable and Holistic and fueled her purpose in supporting others achieve their desired results. Jennifer’s Holistic Nutrition practice takes a well-rounded approach that addresses each of her client’s individual needs. She understands the challenges busy professionals and high-performing teams often face in stressful environments and limited time to dedicate to their health. By simplifying the superfluous information in the health and fitness industry and focusing on each individual’s goals, she makes it easy for participants to adopt a new and healthier lifestyle. The Four Pillars of Health are the foundation of her programs and courses that are designed and proven to ignite change which yields real, tangible and sustainable results. She equips her clients with the motivation and tools needed to successfully and naturally lower stress, increase energy, and permanently change their relationship with food which improves overall eating habits. Jennifer is passionate about helping her clients get to the root of their bad habits and helping them create healthier, happier lives. Her contagious, positive, encouraging and “Jenuine” attitude, coupled with her knowledge and over 10 years of experience in the health and fitness industry, has been able to transform the lives of her many clients.